Tourism and judiciary sector may suffer a setback in 2019 as the sectors got paltry 0.50 per cent and 1.52 per cent respectively in the 2019 budget. In the budget breakdown presented by the Commissioner of Finance, Mr. Sylvester Wallangko during a press conference in Jos on Wednesday, only N337,900.000.00 million was voted for tourism sector and and 1.3 billion Naira for the judiciary in a budget size of about 153 billion Naira. On the contrary, more attention was given to the health sector, as the sum of 4 billion Naira, which represents 6.85 per cent, was budgeted for health care delivery. 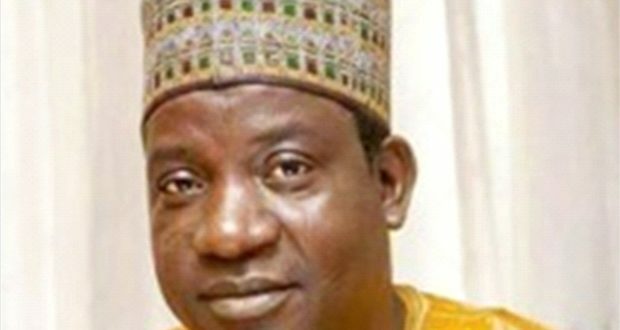 The educational sector received a boost, as the sum of 12 billion Naira is allocated to it, representing 17.94 per cent earmarked for educational activities this financial year. Another sector which received attention was administration and governance which got the sum of 12 billion Naira. A revenue generating sector which is the mainstay of many homes in the state, the agricultural sector got only the sum of 2 billion Naira, representing 3.9 per cent. Another revenue generating sector which did not get desired attention in the 2019 budget was the Environment and mineral development which jointly has only 1.3 per cent allocated to it while Housing and urban development got the sum of 5 billion, representing 7.6 per cent. Meanwhile, Women and youth development have been allocated the sum of 1.9 billion, representing 2.88 per cent; while Information and communication has 1.4 billion, representing 2.12 per cent only. According to the Commissioner, the total sum for capital expenditure for 2019 budget amounted to 68 billion, representing 44.33 per cent, out of the total size budget of 153 billion Naira. This is a significant improvement compared to previous budgets. Wallangko while addressing journalists, at the cabinet office, state secretariat, solicited for the support of all citizens to enable government effectively implement the 2019 budget. The 2019 budget has a total size of 153 billion Naira, making an additional increase of seven billion Naira from the 2018 budget, which was 146 billion Naira.